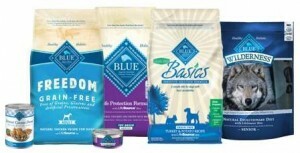 Fresh Pet Select Slice and Serve is an amazing quality dog food and prices range from $20.00 for 6lbs. Newman’s Own Organics Grain Free (canned) is another viable, popular choice by pet owners, with prices ranging from $30.62 for 12 cans. Wellness Core Dog Food (Canned) 31.95 for 12 cans. Of course, there are many other excellent brands out there, and you can always buy the above mentioned items from Amazon.com, like I do, for more affordable rates. I say spend the money now on quality food for your furry friend and avoid the hefty vet bill later that can result from poor nutrition!